Apple season is almost done, but I had to get in a quick fall apple recipe before it ended! What can you do with overripe apples? Make apple butter! It's a very simple way to use up apples and make them last longer! It's just a few ingredients, and the results are delicious! 2. Cut the apples into a medium dice and place into a medium saucepan. 3. Add the remaining ingredients and stir. 4. Cook over low heat for about 1.5 hours, stirring every 5 minutes. 5. Cook until the apples are very tender, and the water has evaporated out. However, do not let the apples dry out completely, as they will burn. 6. Use an immersion blender to break up the apples to a smooth consistency. It should look like a very thick applesauce. 7. If the apple butter is not thickened, return to the heat and reduce slightly. 8. Cool in a thin layer on a pan or a plate. 9. Once cool, transfer to an airtight storage container. If you do not have an immersion blender, you can use a fork or a potato masher to get rid of the large chunks. You want to get rid of as many chunks as you can. I enjoyed this product on some artisan sunflower toast. 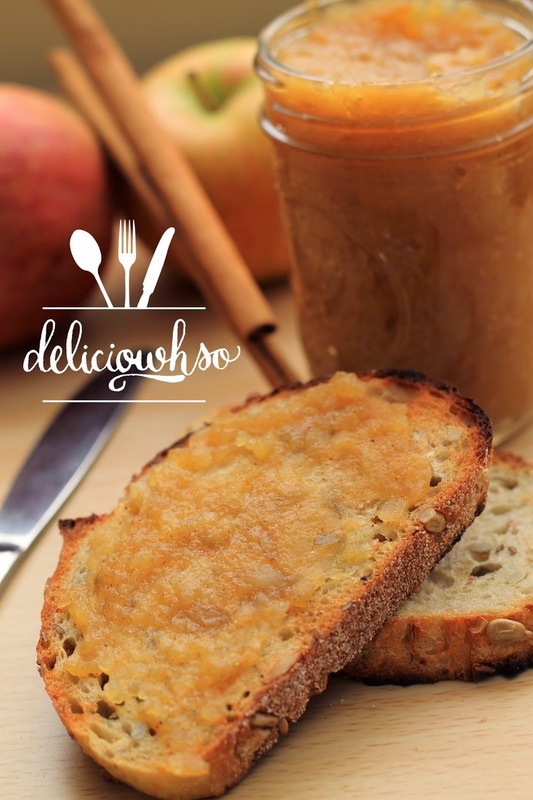 The nuttiness of the bread complimented the sweet apple butter perfectly, making for a delicious snack!